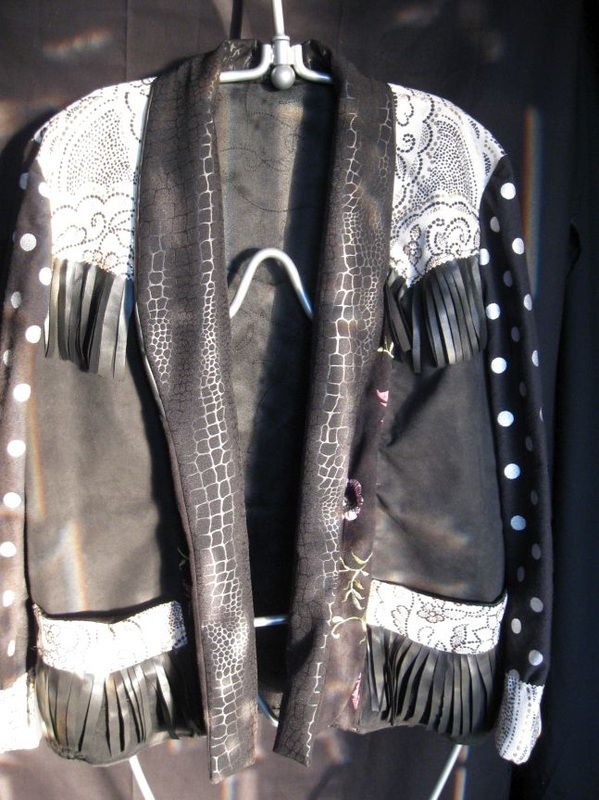 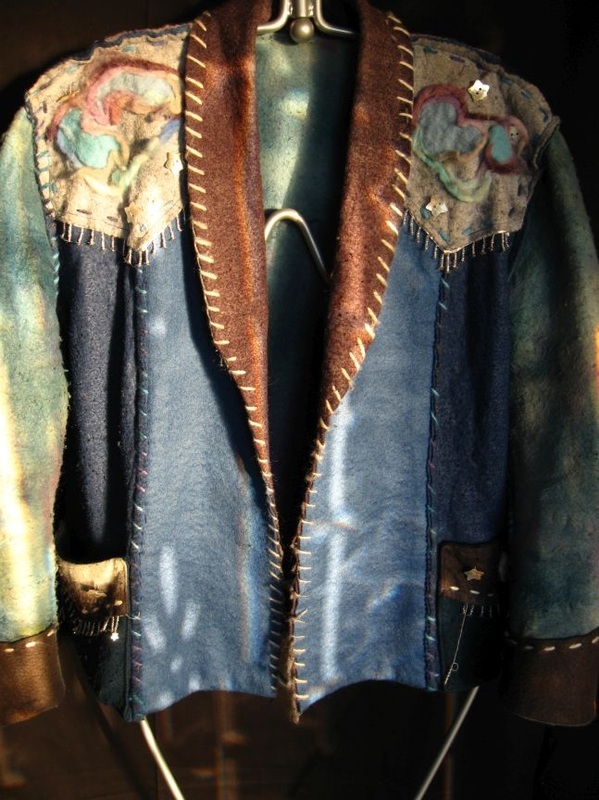 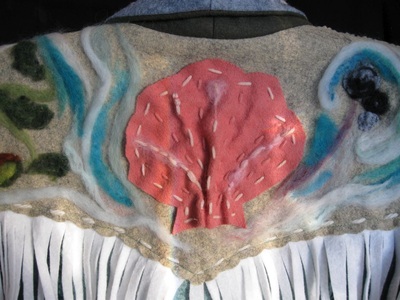 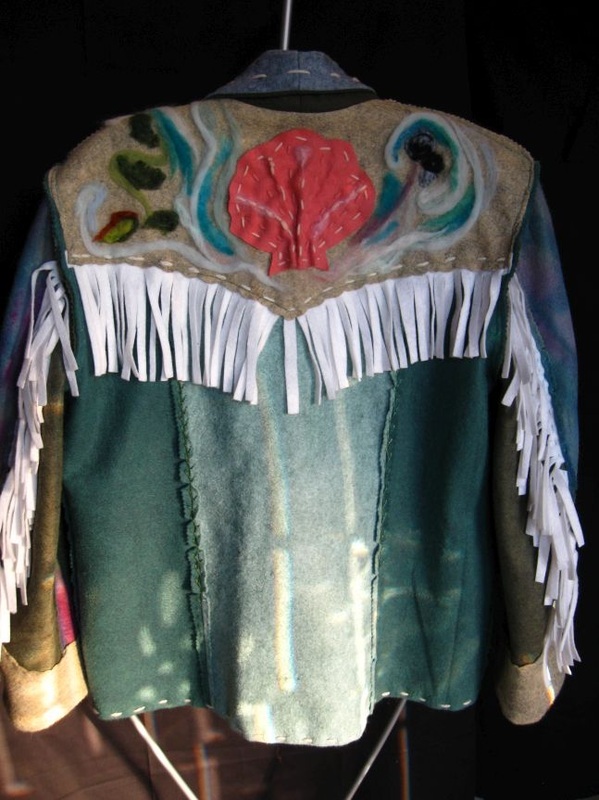 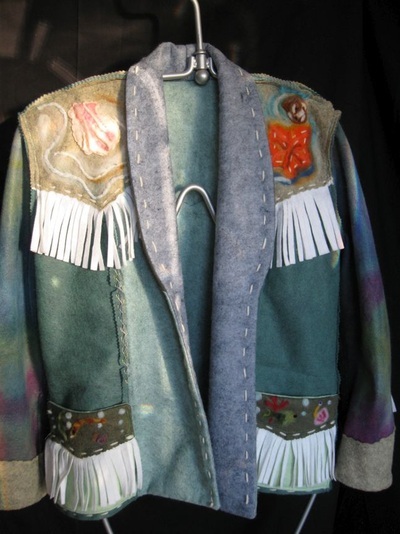 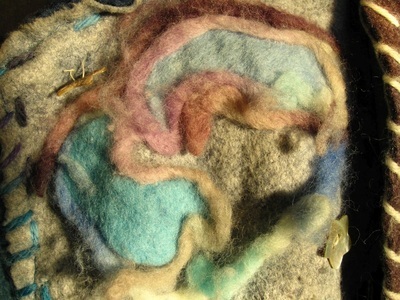 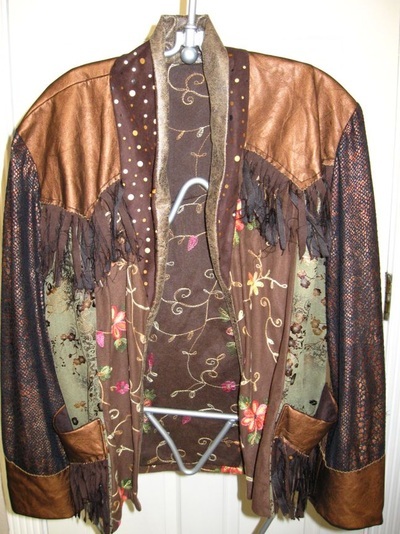 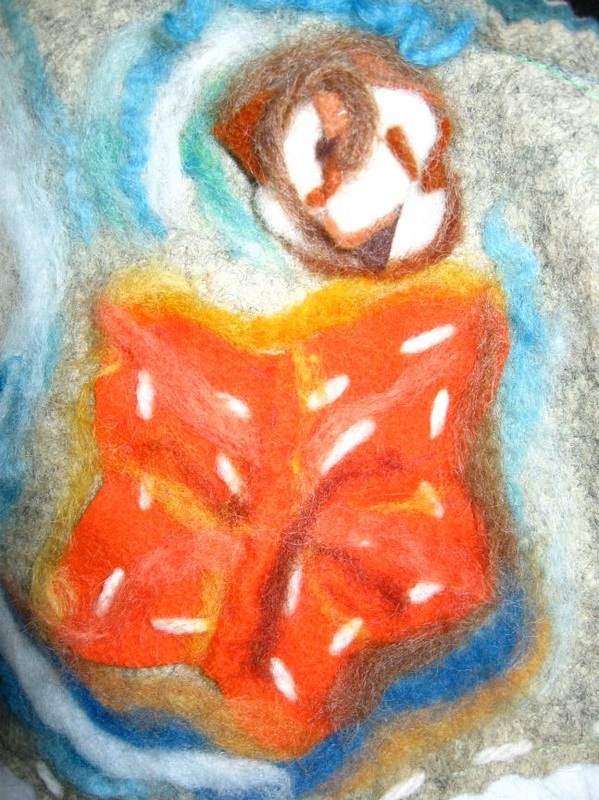 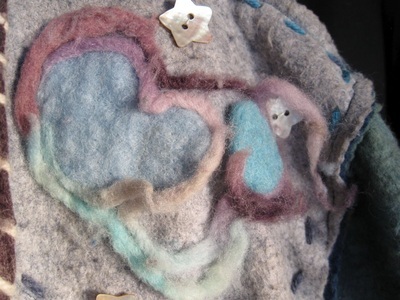 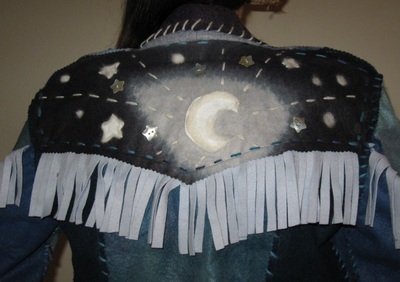 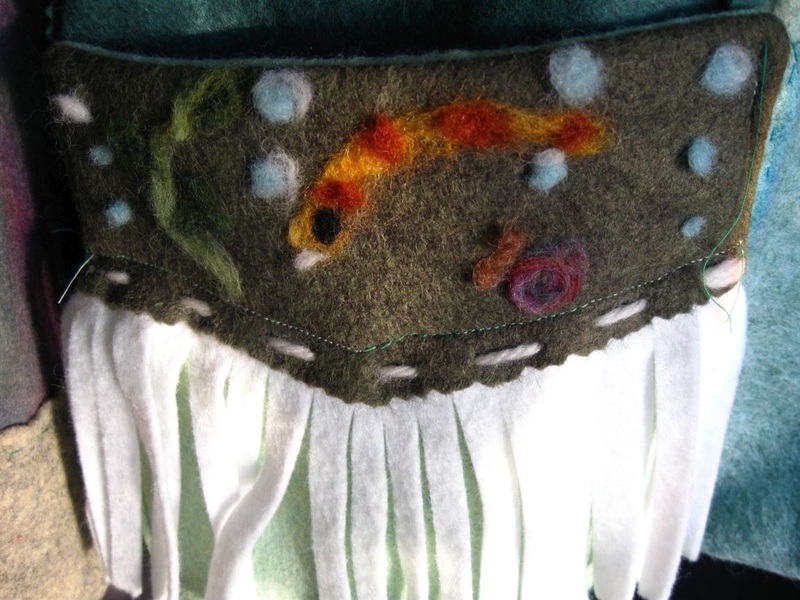 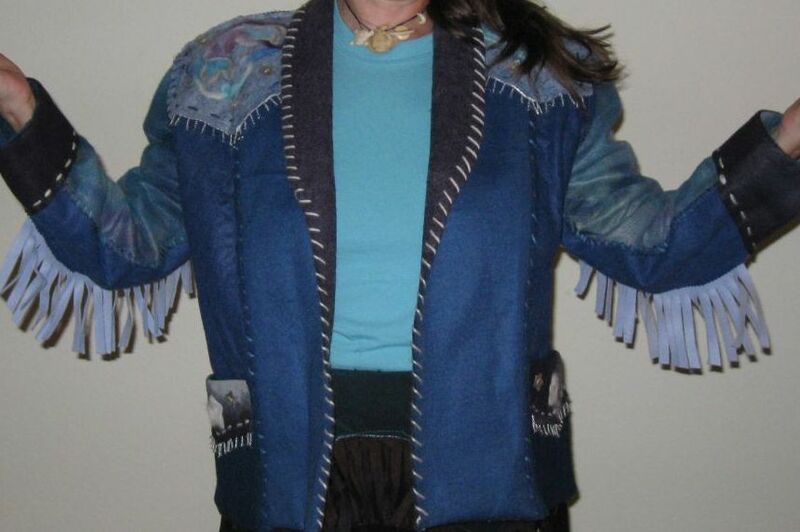 Buffalo's cowgirl jackets come in two varieties: needle felted and non-felted decorative fabric. 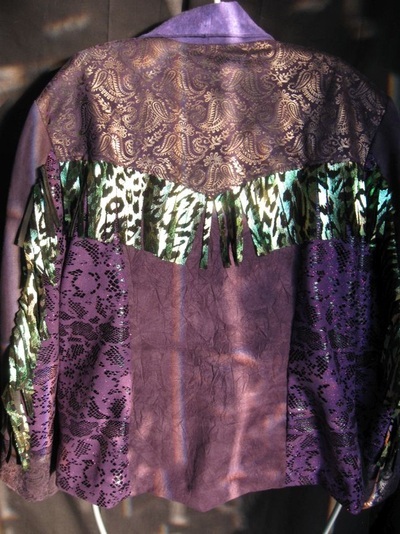 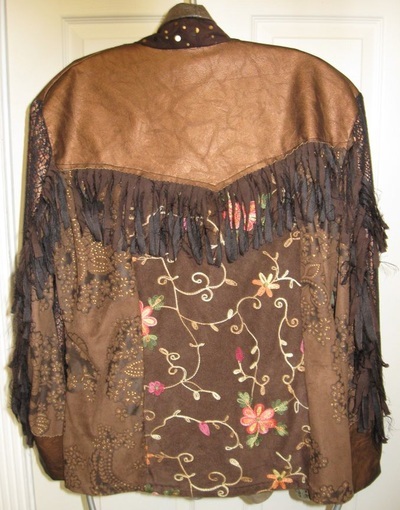 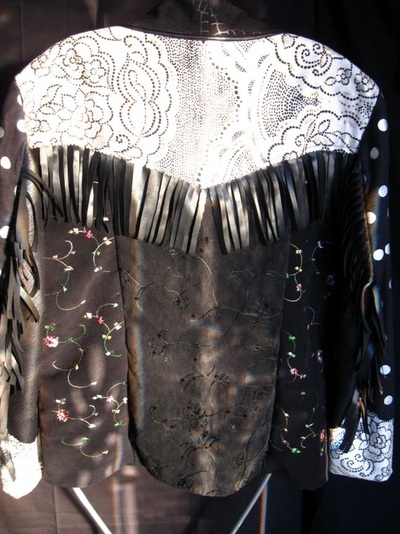 Both styles usually include fringe around the yoke and pockets. 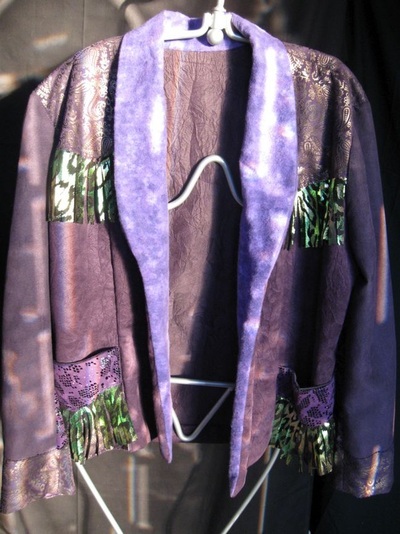 All cowgirl jackets based on Folkwear® Rodeo Cowgirl Jacket pattern #242.